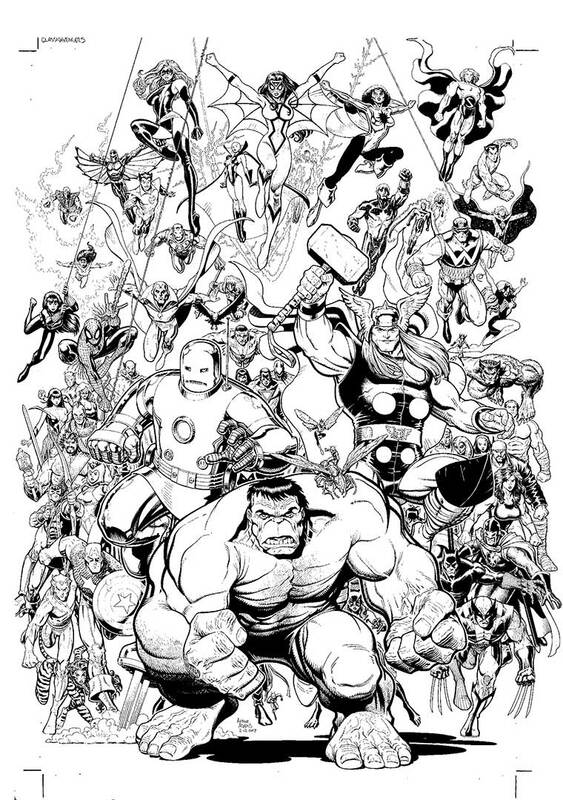 This is the print of the black and white art for the cover for Avengers #1. The 80 lb cardstock showcases the art at a size of 11 X 17. Prints are signed.